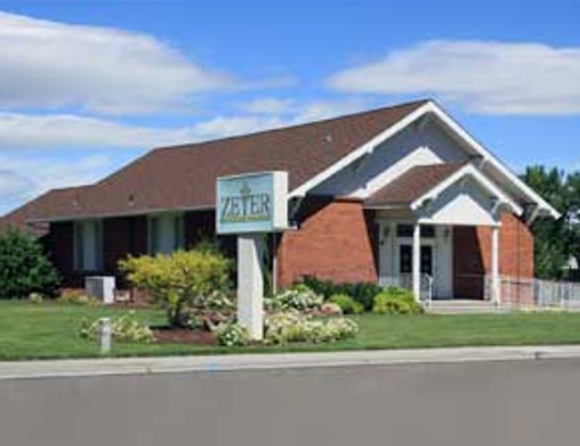 Zeyer Funeral Chapel was established in 2000 by Perry and Lourdes Zeyer, they purchased the chapel located at 83 North Midland Boulevard, Nampa in 1999. It was their goal to provide the community with a beautiful and serene environment in which to memorialize loved ones and friends. After a year of remodeling and beautifying this location, it was opened as one of the few family-owned and operated funeral homes in the Treasure Valley. For more than fourteen years, Zeyer Funeral Chapel has been dedicated to helping families honor the lives of those they love. At Zeyer Funeral Chapel, every service is arranged with dignity and tailored to fulfill the desires and wishes of each individual family in honoring and celebrating the life of their loved one. We offer a variety of options. We serve all faiths and traditions with the same respect and dignity that we would give our own family members.